- Strong knowledge of Laravel or Zend Framework. - AWS server knowledge will be plus point. 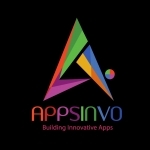 CEO at AppsInvo Pvt. Ltd.